[146 Pages Report] The public safety analytics market size is expected to grow from USD 4.59 Billion in 2016 to USD 11.29 Billion by 2022, at a Compound Annual Growth Rate (CAGR) of 16.7% during the forecast period. The base year considered for the study is 2016 and the forecast period is from 2017 to 2022. The main objective of the report is to define, describe, and forecast the public safety analytics market size based on component (solutions and services), analytics type, application, deployment mode, industry vertical, and region. The report provides detailed information on the major factors, such as drivers, restraints, opportunities, and challenges, influencing the market growth. The report attempts to forecast the market size with respect to the 5 main regions, namely, North America, Europe, Asia Pacific (APAC), Middle East and Africa (MEA), and Latin America. The report strategically profiles the key market players and comprehensively analyzes their core competencies. In addition, it tracks and analyzes the competitive developments, such as joint ventures, mergers and acquisitions, and new product developments, in the market. The public safety analytics market includes various vendors providing security assessment services to commercial clients across the globe. The companies, such as Hexagon (Sweden), IBM (US), Cisco (US), NEC (Japan), SAP (Germany), Esri (US), SAS (US), Nice Systems (Israel), Splunk (US), Verint Systems (US), Hitachi Vantara (US), and Haystax (US) have adopted partnerships, agreements, and collaborations as their key strategies to enhance their market reach. The study answers several questions for the stakeholders; primarily, which market segments to focus on in the next 2 to 5 years for prioritizing efforts and investments. 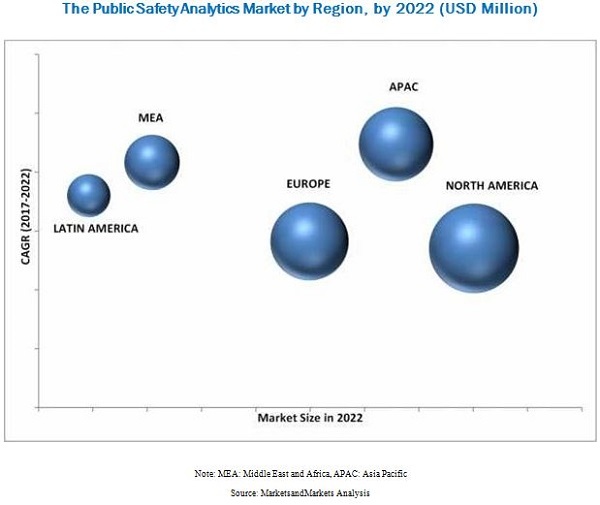 MarketsandMarkets expects the global public safety analytics market size to grow from USD 5.22 Billion in 2017 to USD 11.29 Billion by 2022, at a Compound Annual Growth Rate (CAGR) of 16.7% during the forecast period. The rise in criminal activities and terrorist attacks has led to the introduction of data analytics in public safety solutions and services, with an objective to make them ultra-efficient. The hosted deployment mode segment has gained high traction in the market, as it requires less capital investment, helps decrease the operational and maintenance costs, and reduce the management’s efforts. This hosted public safety analytics services have been made available according to the customers’ demand, wherein customers could start or stop any service according to their will. Public safety agencies have leveraged advanced analytics solutions to provide better services and protect the public and the nation from direct threats. Public safety analytics offers solutions, which includes video analytics, social media analytics, sensor data analytics, identity analytics, and others (crowd analytics, speech analytics, and text analytics). These solutions have been designed to identify, prevent, respond, and prepare for an emergency event. The identity analytics solutions segment is expected to dominate the public safety analytics market and is estimated to contribute a largest market share in 2017. The social media analytics solutions segment is expected to play a key role in changing the market landscape and grow at the highest CAGR during the forecast period, the rise in the social media analytics platforms could be attributed to the rapid adoption of social media analytics solutions among organizations to prevent citizens from emergencies, such as fire, overcrowding, criminal activities, and natural calamities. North America is estimated to account for the largest market size in 2017. This is majorly due to the concentrated presence of public safety security solution providers in the region that offer this solutions to various public safety agencies in the region. Furthermore, rapid economic growth in the developing countries along with improvement in the regulatory reforms and economic stability has driven the public safety analytics market growth in APAC. Furthermore, public transportation security, law enforcement and intelligence agencies, critical infrastructure securities, border controls, manufacturing and emergency services are expected to increase investments and adoption of public safety analytics platform, in Latin America. However, the economic constraints and lack of awareness of public safety solutions and services across the industry verticals are the major restraints for the market growth. The Research and Development (R&D) expends more to develop advanced analytical solutions, this expenditure leads to high pricing of such public safety solution and services. As the frequency of criminal activities and terrorist attacks has increased over the past 5 years, public safety organizations have increased their public safety investments to better protect the nation and the public. Furthermore, with the rise in population, the cost of providing public safety and security systems, and the data analytics that comes with it has also increased. Some public safety agencies have confronted severe budget cuts and low funding, such as high installation costs for the citizens’ safety systems may restrain the market growth of the public safety analytics market. Technological proliferation and the resulting evolution of the physical threat landscape is expected to provide significant growth opportunities to the public safety analytics solution and service vendors. 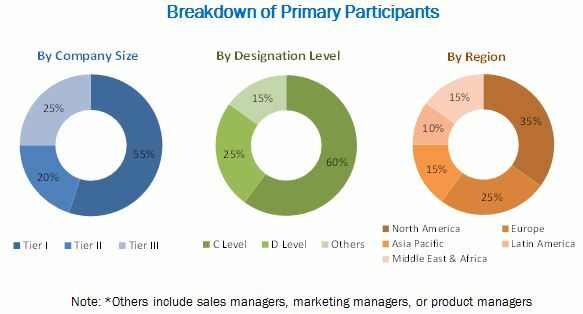 There are several established players in this market, such as Hexagon (Sweden), IBM (US), Cisco (US), NEC (Japan), SAP (Germany), Esri (US), SAS (US), Nice Systems (Israel), Splunk (US), Verint Systems (US), Hitachi Vantara (US), Haystax (US).